From Monday 22nd April, all juniors will be meet in Gosforth Park opposite the Border Minstrel pub. On the 22nd we'll also meet at 10am as it's a Bank Holiday. Thursday night training will also start from the same place - meeting at 6.45pm for a 6.50pm start. This will continue throughout the summer. We are hoping to host the annual Gosforth Summer Relays on Sunday 4th August. As always we will need lots of help before the race and lots of volunteers on the day. Please refuse all other offers and save the date. Wallsend Gordon Smith Relays - Wednesday 8th May. 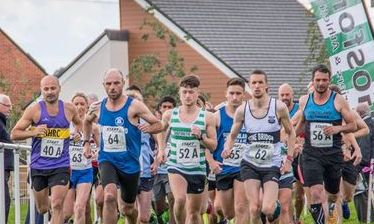 The Wallsend Relays take place at Cobalt Business Park and all members of the club are expected to make themselves available for this and other competitions. Anyone from the club wishing to be considered for a team in this competition needs to contact Steven Bond by Wednesday 17th April. It is open to anyone aged 16 or over. Thanks to a kind donation from John Reed associates, the committee is able to offer some financial support to junior members who wish to compete and represent the club outside of the region. We can contribute to travel and/or accommodation costs. Please contact the committee if you wish to apply for support. The Gosforth Harriers annual club time trial will take place on Sunday 21st October 10:30 am juniors, 11:00am adults. All members are encouraged to run in this handicapped race- 3 mile (adult), 1 mile (juniors). Please arrive in plenty of time to register and collect your number. Neil Ramsay has been writing a blog for the last couple of years about his races. It's always an interesting read and it's good to hear a different perspective on races you were involved in. I have to announce the passing of a dear old friend and Gosforth Harrier, Bill Flannigan, who died on the 3rd of September 2018. Bill joined the club in 1958, holding the job of secretary and chairman, and also coach. Bill was always enthusiastic about his running. Through hard work, building up to training 3 times a day at his peak, he produced, by todays standards some very good times at various distances. Bill gave a lot of his time to coaching, organising our club presentation nights, and the then very popular Gosforth Road Relays. Even now 60yrs later and with a lifetime in screen printing, we still use items printed by him. I believe that by Bill's doggedness in his training outlook, he helped me become a much better runner, and probably changed the mindset of anyone who trained with him, as to what hard training runs entailed. Bill was a one off. RIP old friend. Colin Haggie President of Gosforth Harriers. The club presentation evening will take place on Saturday 29th September from 7pm at Parklands Golf Club. Tickets cost £6 for adults and £4 for juniors. As in previous years, food will be provided and there will be a quiz and a raffle. If anybody would like to donate a raffle prize please bring it along to training and leave it with Kevin or any other committee member. North East Grand Prix (NEGP) U13 upwards - Athletes aged 15 and over will be in graded races. Please support the club and the work of the coaches by competing in these events. The club would like to congratulate Faye Landless on her recent record breaking triumph over 200m. 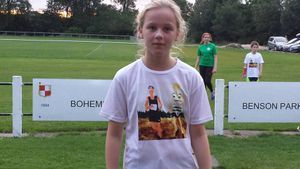 Faye, who was already the holder of the club U13 girls 200m record, took a massive 0.3 s off her own pb to record a club record of 27.6 s.
Well done Faye!! this goes down in history. Faye has also recently broken the club 100m and 150m records which had been held for 55 and 14 years, respectively. Fantastic work. GDPR Consent - URGENT !!!! There are new laws which come into effect on May 25th 2018 which require all members to give their consent for their personal data to be shared with England Athletics. and follow the on screen instructions. If you are completing the form on behalf of your child, it's their name that needs to be entered, not yours. We must have a form for every member. If you have not given express consent to share your details before 25th May, we will have to delete your records and you can no longer be a member of the club or be registered with England Athletics- It's that serious!! Please note that from 5th May Colin will be running a track session on Saturday afternoons from 2pm. This is primarily aimed at those who are racing on the track over the summer season. The list of fixtures below and links to more information will help to keep you occupied for the next few months. Those currently out of practice at track running should note that the club offers the opportunity of a coached session every Wednesday night. Juniors will meet at 7pm in Gosforth Park, opposite the Border Minstrel. Seniors will continue to meet at Bohemians. Meet Gosforth Park, opposite the Border Minstrel for a 6.45pm start. NEW HQ + registration premises (& Cafe) at Gateway House, Newburn Riverside, Newcastle. NE15 8NX. HQ to start line is now only 200m away. HQ will be open from 8.15am. First race, U11's starts at 9.15am. Please arrive at the course (not the car park) at least half an hour before your race. Very few excuses for anybody not to be racing for or training with the club this or any weekend. See you there. Starting this week Zack Wylie will run a short strength and conditioning session at Bohemian's beginning 7:45pm after the Thursday run. Everyone is welcome. if you aren’t running before the s & c session, please do some sort of warm up before you come, whether it be running or cycling down to the club for example. Best wishes to all our members travelling to London for the National Cross Country Champs, hope you enjoy the experience. 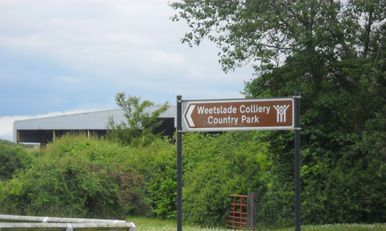 For those unfortunate enough to have missed the entries for the National, The club session on Sat will be at Weetslade Country Pk, Car Pk . 10am for 10-15. It's the New Year and I'm sure we all have hopes and dreams for 2018. The cross country season continues with Harrier League, Northerns, National and schools races. Seniors have Durham and Hetton Lyons relays to think about. Now is the time to be committing to your training- if you want to get fitter and faster, you need to train well and consistently. Monday 18th December 8:30pm: A cheeky half at Northern Rugby Club. Leave the motor at home and join the gang for a festive drink after training. Saturday 23rd: Turn out for the Park run 9 am or Colin's Gosforth Park training 10 am. Work up an appetite for the coming Christmas treats. Sunday 24th (Christmas Eve): meet at Seaton Sluice car park 9 am for a beach run before an all-you-can-eat breakfast at the Astley Arms (mushrooms extra). 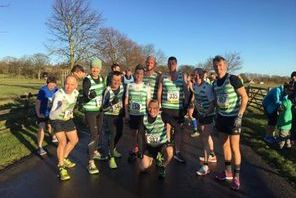 Boxing day: Gosforth Harriers famous Turkey Trot. Register by 10:15 at Border Minstrel car park. Seniors 3 mile course, juniors 1.2 mile. Bring any friends and relations who are hanging about. All welcome. The club had more success over the weekend of 25th & 26th November with plenty of podium places. 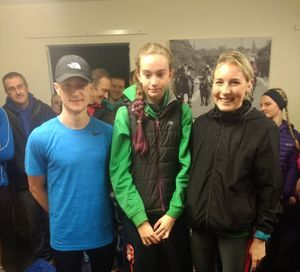 First up on Saturday was the team of Rhian Purves, Helen Warburton and Zack Wylie who finished second in the Elswick Harriers Norman Woodcock relays. 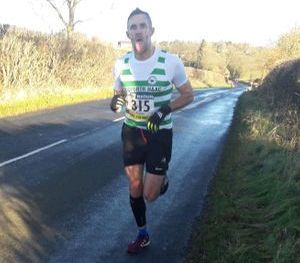 On Sunday morning there was a good turnout from the men in the club's 10 mile championship at Kirkley Hall with Andy Heppell being 6th overall and 1st over 40, followed closely in the same age group by Darren McBain. Kevin Thomas was also 1st over 55, Neil Ramsay was 2nd over 45 and Steve Boddy was 3rd over 50. The men were 1st team overall. In the Billingham Marsh House Harriers Gavin Duffy Memorial trail race, Ethan Bond was 1st in the junior race over 1.7 miles. Results of Sen/Jnr Time Trials under More-- Results. For all those who felt they underperformed at Akley Heads H/L, there is a need to get focused in the next 3 weeks to ensure a higher standard at the North East C.C.C hamps on 9th Dec. This Saturday 28th October is the Sherman Cup and Davison Shield at Temple Park, South Shields NE34 8QN. This is a whole club competition. The girls/ladies are the current holders of the Davison Shield and hope to retain it. The boys and men will be fighting hard for the Sherman Cup. Please everyone you need to turn up and run your heart out for the Green and Whites. TIMES ARE THE SAME AS THE H/LEAGUE & REMEMBER YOUR H/L NUMBER ! A reminder to all our members that the AGM will be held on Monday 6th November at 8:15 at Bohemians. Please try to attend. There is a vacancy for the treasurer post as Marc Oldham is retiring. If anyone can volunteer to take on this important role, please let the committee know and be prepared to come to the AGM. The North East Harrier League #2 is at Druridge Bay this Sunday 8th October. We expect all registered runners to show commitment and make every effort to race. Race numbers (for those who missed Wrekenton) will be handed out on the day by Steven Bond and you should arrive at least 1 hour before your race to collect it, familiarise yourself with the course and warm up. If you arrive late you may not get your number in time to race. You must keep your number for the entire season (including the Sherman Cup) and YOU will need to pay £5 for a replacement if you lose it. Great training session in Gosforth park in the sunshine, thanks to Colin Haggie -yes, he can arrange sunshine, just sometimes chooses not to! Gosforth Harriers put together 5 training sessions a week, this is to encourage members to train in groups and in so doing bring the best out of themselves. There is a sad lack of senior involvement on Sat, Sun, Wed,& Thur sessions. If the men want be promoted back up the Harrier League this winter we need more committed runners turning up to sessions! From Monday 11th September, the beginners' group will train in Gosforth Central Park. Parents/carers, please deliver your child(ren) to the care of Steve and Irene at the meeting point on the steps behind Gosforth shopping centre for 7pm. Children should wear fluorescent top or bib. 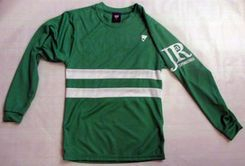 Long sleeved fluorescent club tops are available to buy for £10 see kit page. Faye Landlass has set a new U13 girls club record of 27.9s in the 200m at the NEYDL. Well done Faye! underway on 30th September 2017 and ends on 3rd March 2018. Last season saw some great performances by our juniors and ladies and our men were well represented in all competitions. We'll have a few new faces this year and hopefully we can continue to build on our recent success. All members are expected to race and a warm welcome (although not necessarily warm weather) awaits all who do. You do need to be at least 9 years old on the day of the race - this has been raised from 8 years old in previous years. Regular updates about Harrier League races can be found on the North East Harrier League Facebook page and www.harrierleague.com and most people in the club can advise you so just ask. If you haven't already got these dates in your diary, do it now so you avoid a clash with your sister's boyfriend's uncle's BBQ. and individual fastest legs were Gavin Massingham (SM), Alice Smith (SW), Ian Dixon (VM), Kathryn Stevenson (VW), Phil Battista (O50M), Tom Tinsley (O60M), Julie Dumpleton (O50W) and Mary Martin (O60W) for fastest legs. 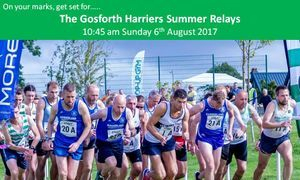 All members (not currently on holiday) are expected to turn out for the second annual Gosforth Harriers Summer relays on Sunday August 6th. Parents, seniors, vets come along and help make this fantastic event happen. We have named marshals at critical points but the more marshals we have pointing the way, encouraging and keeping things safe, the better so - come one come all. Subs are due on 1st October each year. If possible please pay by bank transfer into the Gosforth Harriers TSB account (account number 10542768 and sort code77-20-33). Please make sure it is clear who you are paying for in the reference and send an email with the details to marcoldham@blueyonder.co.uk. Cheques and cash will also be accepted by Colin but online payment is preferred. Gosforth Harriers Summer Relays, 6th August 2017. Now into its second year, we hope to make the race even bigger and hope to see runners from as many clubs as possible. Once again we'll be supporting Drew Graham's Pop_Up Gym. Monday 5th - Training at Bohemians 7-7.45, prompt start. 1. Keep checking website for information/updates about training ‎and/or races. 2. Let us know of times & dates of any races or Park Runs so we can keep a record of progress. 4. Let Steve Boddy (07799341009) know if you can't make Monday training. We are well into the track and field season. Here are important dates for your diaries. Please note all members are encouraged to compete whatever your standard. Competition in a range of disciplines for all age groups. Closing Date 24th July Entry fees: £12 first event. £8 each additional event. Younger juniors may be interested in Quadkids events at Churchill playing fields and Gateshead Stadium. Events: howler throw, long jump- standing/ running depending on age, sprint and long run - about 600-800m. The group of juniors is now very large and of quite mixed ability. Training within Gosforth Park during the summer makes it much easier for the coaches to deliver the appropriate training sessions for everyone while keeping all youngsters safe. We realise that it may be less convenient for some parents to get their children to Gosforth park but hope that you will support this move. Note this includes juniors who normally go out on the roads with Colin, Steve Bond, Neil Ramsay, Kevin Spreadbury, Paul Waggott. Beginner juniors who train on the field will continue to do so. The Elswick Harriers Newburn River Run takes place on Wednesday 14th June. Postal entry closes 7th June, online entry closes 8pm 11th June. This is an excellent race and very scenic. It would be nice to have a good turnout from the club. The 2017 North East Track and Field Grand Prix commences at Monkton Stadium this Wednesday 19th April. You can register in advance and pay on the night. All details are here and we would like to have representation from all age groups in as many events as possible. For the 2nd year Gosforth &Wallsend will participate in the North East Youth Development League, NEYDL, the 4 dates being April 30th (Not May 7th as previously posted) , May 21st, June 25th and July 16th the last 3 being at Churchill track and the 1st at Monkton Stadium, all Sundays, As a club we should attempt to have club members /coaches available (Min of 3) on some sort of rota to ensure we can support our junior members at these competitions. Performances are always enhanced by the encouragement given, but you need to be there to give it. As the seniors' grand prix nears its end, if anyone has done a Parkrun during the winter season, please let Matt Gwilym or Marc Oldham know. Thursday training will shift from the Club house to Gosforth Park, starting Thur 30th March. We hope with the lighter nights more members will take advantage of the sessions laid on. Group training is available for Senior men and Women on Mondays, Wednesday, Thur, Sat, and Sundays. If the standard within the club is to improve, people need to train in groups that will test their fitness on a regular basis. lets get consistent! Congratulations to the senior ladies A team Rachael, Helen, Katie and Beth who came a massively impressive 3rd in the Royal signals relays 18th Feb.
Well done also to the V50 men who came 5th and to everyone else who ran. Winners of the Davison Shield: Girls and ladies: Olivia Katory, Amy Ellis, Catriona Pascall, Carys Purves, Emma Scanlon, Rebecca Wren, Freja Smith, Abigail Nicholson, Georgia Anderson, Niamh Bell, Grace Quinnin, Rhian Purves, Rachel Rees, Ailish Gregory, Olivia Hanlon, Faye Lancaster, Connie Nicholson, Beth Larby, Ruth Oldham, Louise Watson, Susan Driscoll, Sarah Seymour, Sarah Pascall, Rachel Davidson, Lisa Baker, Vicky McIntyre, Helen Peacock, Sarah Gartside, Hannah Fitzpatrick, Joanna Katory, Sue Guy, Kayleigh Nugent, Irene Ewart. Well done to all and to the U11 boys and girls who represented the club. In preparation for next year's NEYDL, why not get some coaching in field events- long and high jumps, shot, javelin, discus. Sunday 27th November, Kevin Spreadbury will accompany juniors who want to take the opportunity to have some field event coaching at the track, Churchill playing fields Monkseaton. Session 1 is 12:00-1:30pm for school year 6 and above. Session 2 is 1:30-3:00pm for school year 5 and below. Please let Kevin or Sasha know if you are planning to come along on 27th. Well done to all those who braved the weather at Druridge Bay- great performances all round with girls teams 3rd in every age group and ladies 2nd in their division. Well done to Patrick and Rhian who won their races, and Ethan and Luis who were second. Good work team Gosforth! Members wishing to train at Whitley Bay Track are advised that the arrival time is 7-00pm and the start time is 7-15. This has begun to slip over the years. We need to start on time. Anyone coming after 7-15 will not be warmed up in time for the main session. If the coach feels you're not warmed up he may sideline you for the session. Again 7-00 for 7-15 start. Here is the list of our entries for the Start Fitness NE Harrier League. Please check your name and your age category and starting pack. Let Steve know if you think anything is wrong or you have not been included at all (and intend to run). It is your responsibility. If you run from the wrong pack (or in the wrong race!!) you will be disqualified which never looks good on your CV. Please note that the club pays £2 per named runner, so if your name is there, the club has paid for you- please try to turn out and support the club by racing. Extra entries can be made later in the season at £3 per runner but there are no entries on the day for the first race. England Athletics run 'Athletics Award' courses for young people 14yrs + who are interested in getting into athletics coaching. The next course is at Gateshead Academy of Sport (10am to 1pm) and the cost is £30. This might be of interest to some of our older junior members especially those who might be studying PE at GCSE or A level and or who want to go into sports careers. The club will cover the cost for anyone who wants to do the course and will then commit to helping out with training sessions at the club- especially for the beginners. New Gosforth Harriers Winter Grand Prix 2016-2017!! . The system is as outlined here, and may appear to be a little complicated. To simplify things; If you run as fast as you can, and as often as you can, you'll have a good chance of doing well!! Well done all who pitched up at Farringdon today. Great performances - especially big shout outs for Ethan Bond (1st U11 boy), Faye Landlass (1st U11 girl), and Rhian Purves (1st U17 girl). 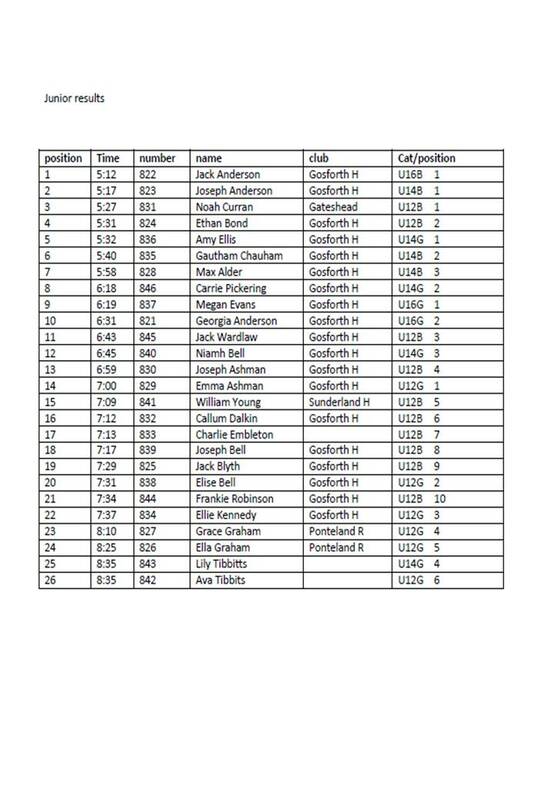 Full results of the Gosforth Harriers summer relays are below. results of the junior 1 mile race. Thanks to all the members and their families who supported the event. And to those who did not turn up for what ever reason, (maybe nakkie at being last ) you missed a good nights racing. and of course team manager Sam Purves. Training at the track this Wed 29th. 100m, 200m, 1500m, and Mile races at the N.E. Grand Prix at Gateshead on the same night 29th. Ladies.. It's that time of the year again. Anita Nott ladies only race Monday 27th June 7:30pm Jesmond Dene. Online entry is at : http://www.raceentry.co.uk/heaton or there's a paper version on the Heaton Harriers website. This year's Sparvarger mile will be held on the evening of Wednesday 20th July. This is the club mile championship and there are trophies aplenty to be fought for. Get your training plans organized it should be PBs all the way. Please be reminded that training takes place come rain or shine. Last night's turn out at the track was pretty poor. Those who braved the weather (which wasn't that bad after all) included:-Joe, Jack, and Georgia Anderson, Steve and Ethan Bond, Mark Walker, Carys and Rhian Purves, Rachel and Sarah Rees, Rebecca Wren, Emily Zibe, Amy Ellis, Steve Boddy, Zack Wylie, Patrick Donald, Thomas Spreadbury, Geordie Cheetham, Richard McQuade and Sasha Gartside, Marc Oldham, the new bloke, Andy and of course, the ever present Mr Colin Haggie. Lucky Colin never looks out the window and decides against it! Seniors: Great PBs from Zack (the flash) Wylie in the 1500m (4:20.72) and Harriet (2nd claim) Buswell breaking 18 min in the 5000m (17:51.26).in 3rd place. Then we have Helen Warburton 2nd Sen Ladies 1500m. 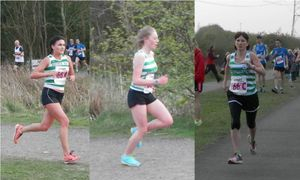 Great results from the Gosforth Harriers at Wallsend relays. ladies A team were 4th and Men's A team 7th. well done all. The club has a growing membership and is keen to increase the quota of qualified coaches and volunteers. The club can offer financial support to any member to gain a formal coaching qualification as long as they will commit to using that qualification for the benefit of the club e.g. helping out with coaching on a flexible basis when needed. UK athletics runs coaching courses locally at coaching assistant and higher levels. 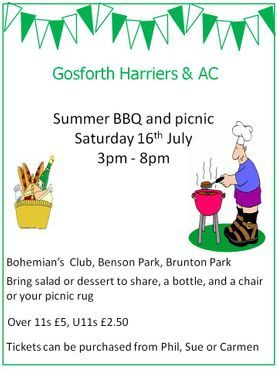 Please contact Sasha or committee@gosforth-harriers.org for details. This is an appeal to anybody who can help out with the coaching and supervision of the Monday night (6pm) junior training group. We have an ever increasing number of junior members, and currently do not have enough adults to service this need. Louise Watson, Steve Boddy, John Buswell, Kevin and Mark Thomas and Co have done a brilliant job in co-ordinating the training, however, they need our support. We hope to set up a rota with 5 adults available each Monday night to assist the junior session. We need supervision for the juniors who train on the playing field at the clubhouse as well as for those that go out running on the roads. Parents of juniors are particularly encouraged to help out- you don't have to be a runner!. Please contact Matt at committee@gosforth-harriers.org or message Matt via facebook. Once we know roughly how many adults we have available, we can start to think about how to organise a rota that will work for everybody. Well done to all who represented the club at the masters relays. there are a few pictures on the GHAC facebook page- the results will be out sometime! North East Youth Development League. NEYDL. Thanks to all our Juniors who helped swell the points total for the combined Wallsend and Gosforth Team 01-05-16. Carys and Rhian Purves, Amy Ellis, Olivia Katory, Abigail Nicholson, Emily Zibe, Rachel Rees, Kieron Mutch, Joe Ramshaw, Geordie Cheetham, and Patrick Donald. A Small band but perfectly formed. Not mention our team manager, so I won't. Just kidding, Our very own Sam 'Tuck Shop' Purves. Thanks to the athletes, family and friends, who supported the event. Northern 12/6 stage road relay, 2nd April, Silkswood Sports complex, SUNDERLAND. The ladies (Beth, Susan, Florence, Helen, Lucy and Louise) pulled out a series of fantastic individual performances making a great overall team effort. The team finished 18th in a very competitive field of 32 teams. Full results here. Well done lasses. Men's results just in (Gareth, James, Zack, Darren, Kevin, Richard, Steve, Chris, Marc, Matt, Simon, Neil) team came 36th out of 44. Well done lads. The club junior section have been entered into the above league which caters for U/13 U/15 & U/17 male and female. this will give additional competition during the summer. There is a full list of events available ie, H J,L J, Shot Discus, JT 100m 200m 800m etc etc.. Very well done to the massive number of runners we had out today. It was great to see 27 ladies running including lots of 15 and 16 year olds -although having so many ladies teams caused some confusion in the start gate, that's the price you pay for being such a great club. Well done to the men as well and to the junior teams who did very well. Gosforth Harriers bossed it at the harrier league today. great junior performances and the culmination of a terrific season for the ladies team - winners of Division 3 and the men's team - 2nd in division 2. Both promoted! Ladies be extra proud of yourselves- in 2011/12 we had one runner in one race, in 2012/13 three runners competed and we had a team (3) in 2 races, in 2013/14 seven ladies ran and we had a team in 3 races, in 2014/15 12 ladies ran and we had a team in every race. This year 11 ladies competed, we had a team (4) in all races and we won the division. Go Gosforth! Congratulations to Rhian Purves and Olivia Katory in representing the North Eastern Counties and Gosforth Harriers at the Intercounties C.C.Champs on Sat 12th March. 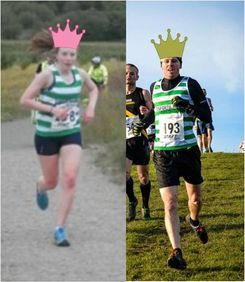 Well done to all our runners at the national Cross country Championships at Donnington Sat 27th Feb.
Great Performances in the green and white from Rebecca, Carys, Rhian and Rachel for the juniors, Harriet, Sarah and Sasha for the senior women, Zack Wylie in the junior men, and Steve 'the body' Boddy, Maurice 'the mover' Bourke, Martin 'Billy' Lloyd, Sam 'the shrug' Gant, luxury Kevin Thomas, miserable Steve Bond, and rear of the year Richard McQuade for the senior men. The track season starts in April. NOTE that we need to supply adult volunteers to rake the long jump pit, move the hurdles, measure the javelin etc and parents of competing juniors will be expected to volunteer. These were due in Oct 2015. Please pay A.S.A.P. Cheques and cash payments gratefully received. Cheques made payable to Gosforth Harriers. If you don't pay- you are not a member! Sat Jan 2nd's training at a windy and rain soaked Weetslade was enthusiastically supported by, Jack Anderson Joseph Anderson Georgia Anderson, Amy Ellis, Rhian Purves, Carys Purves, Geordie Cheetham, Patrick Donald, Joe Ramshaw, Rachel Rees, Sarah Rees, Sasha 1000mls Gartside, Irene Ewart, Mark Walker, Kieron 'can't get the spelling right' Mutch, Sophie Mutch, Faye Landless, Faye Lancaster, Miranda Debski, Paul 'Gold Top' Waggot, Trevor Bird, Steve 'shaken and stirred' Bond, Ethan 'the grafter' Bond, David Rafffle, Maurice Bourke, Holly 'never comes late' Willis, Zack 'grind it out' Wylie and the 'Hexham Destroyer' Rebecca Wren. The committee of Gosforth Harriers wish all our members and friends good health and more success in the coming year, Lets have more representation in the local road races by our seniors!! Christmas training and the Turkey trot, Results now out. The conditions at the North Eastern Cross Country Championships were brutal for runners and spectators alike. The following people competed for the club and deserve a medal each-. heroes! Special shout outs for Rhian Purves - NECAA U15 champion, Harriet Buswell, who came a massively impressive 15th in the senior ladies, Jane and Kayleigh who were first timers! Thanks to all who supported and helped pitch the tent, take it down, warm frozen toes and dry copious tears. Next on the list is the Turkey Trot on Boxing Day-keep up the training. If anyone plans to stay overnight before and/or after the event, the suggested accommodation for the club is the Nottingham Riverside Travelodge. This is 14 miles (23 minutes drive) away from the venue but there is a Pub/restaurant on site and it is handy for a night out in Nottingham! This is just the suggested hotel, other hotels are available nearer to Castle Donnington if you prefer. You must arrange your own accommodation. Kit man Kevin has a few limited edition T shirts left printed with Drew Graham's painting. The shirts are £12 and all profits are going to the rehabilitation fund for Drew who was badly injured in an accident last September. The T shirt is available in junior and senior sizes- see Kevin to place your order. Great work by the senior/vet men and ladies on Saturday- both are in 1st position in their Divisions and are poised for promotion. Next harrier league is Jan 9th Town Moor but before that we have the North eastern cross country championships 12 December at Sedgefield. If you signed up, you must show up on the day or you will be charged your entry fee. Let's have a 100% turnout!! Congratulations to all Gosforth harriers who competed on a very difficult course at Aykley Heads. As they say on Masterchef 'Running doesn't get much tougher than this' actually it's 'cooking doesn't....-but you know what I mean. Special shout out for our under 11 and 13 first timers- there are a few photos in the gallery. U13 girls came 1st, Ladies 2nd in Div 3 and Men 3rd in Div 2. Next Harrier League is Sat 28th November at Druridge Bay- just time to dry your vest (and your tears). Also see our own Harrier League 2015/6 page and the guide for new runners. Just a reminder to everyone that GHAC has a Facebook group which we use to share information, photos etc. Everyone is encouraged to join. If you use Facebook, just search for groups and send a request. All members will be admitted. Well done to all who raced the GHAC time trial Sunday1st November. First home in the senior race was Louise Watson, followed by Carmen Guy and Jonny McKale. The junior race was won by Robbie Boddy. Results now up on Results. BOOM! BOOM! account number 10542768 and sort code77-20-33. Please make sure it is clear who you are paying for in the reference. If you wish to pay quarterly divide the total approximately by 4 and make a note in the reference (e.g. Brown Jnr £15 30 to pay- put as much info in the reference as you can fit. Other payments will be due Dec 1st , March 1st and June 1st. Thanks to all who attended and took part in the AGM. The main news is that Matt Gwilym, Marc Oldham, and Martin LLoyd have agreed to join the committee. Lucy Gwilym was proposed and seconded outside of the meeting and will take on the role of Ladies' Captain. Marc will take on the role of Treasurer as John Smith has stepped down. Sasha will become secretary of the Club as Gordon has stepped down. Thanks to those who have served on the committee and those who continue to do so. The members voted by very large majority to accept the rise in subscription fees proposed by the committee. Arrangements for paying by bank transfer and also quarterly if required will be communicated to you all very soon. The minutes of the meeting will be available on the website as soon as we have typed them up! Next committee meeting Thursday 12th November. Well done to all who ran at Temple Park. the results of the handicap are on the Club notice board. 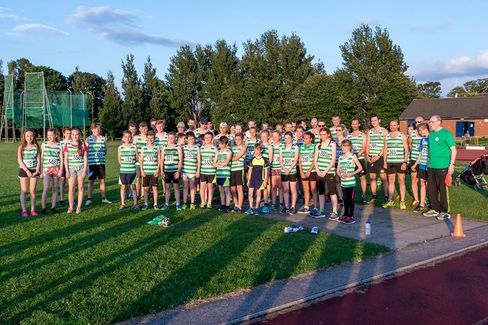 Please remember Gosforth Harriers is a competitive running club, as such encourages members through good training methods to build confidence in their ability to be successful in competition. Please make every effort to train on Sat if not racing. Lapsed Gosforth Harrier races to 2nd in World Mountain Running Champs in Wales. Emmie Collinge running for GB finished 2nd in Senior Ladies World Mountain Running Champs in Wales at the weekend, also securing a Gold medal in the team event. Well done Emmie from all your friends at Gosforth Harriers. If you get sick of Switzerland you know who to call. It's the cross country season. The first Harrier league meet is this Saturday at Tanfield. Pick up your number at training on Monday or Wednesday. see Colin for a map of the venue if you haven't been before. + the Sherman Cup and the Davidson Shield races. Replacements will be expensive. I would like to thank all those who gave so generously towards the purchase of my mountain Bike, to say I was gobsmacked was an under statement, my gob has never been so smacked. I now feel embarassed about not making the prize night. I hope riding this new machine with the streamlined saddle will enable me to fulfil my lifetime ambition to sing as a alto in the Choir of St Nicholas Cathedral. Col H.
From 24th September Thursday night training will stat at Bohemians. Please remember to wear light or reflective clothing as the evenings darken. Special shout-outs for Rhian Purves (1st U15 girl), Patrick Donald (2nd U15 boy), Rachael Lundgren (2nd senior lady), Will Buswell (5th senior man) and the Senior men's A team who were 6th. 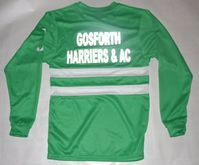 Gosforth Harriers is looking to establish club veteran records on the track and road. If you know of stellar performances by men over 40 or women over 35 please let Colin or Sasha know. Rhian Purves and Kieran Mutch both improved on long standing records, Kieran running as a U13boy ran 5.14.5 for the mile and Rhian running as a U/15 Girl ran 5.2.9 for the mile, Rhian followed this up by improving the U/15 and U/17 1500m best down to 4.36.2. winning by 35sec. This weekend saw the English Schools Athletics Association championships come to Gateshead. Note that the committee is elected at the AGM. Current members wishing to stay on the committee as well as new members must be proposed and seconded, and voted in at the meeting. This year the post of treasurer will become vacant- any member wishing to stand for this post or for other committee positions should seek a proposer and a seconder. Committee members are expected to attend monthly meetings and to take an active role in the administration of the club and its events. Great results from the juniors on Wednesday night. PBs in the 800m from Rhian Purves 2:17, Patrick Donald 2:12 , Jack Anderson 2:38.0 and Joseph Anderson 2:40.2. 1st Gosforth lady home was Lucy Gwilym in 21:51 (23rd place). Congratulations to Sarah Rees who was first in her category, and Fiona Waugh who was third in hers. The Gosforth team was 10th with Lucy, Susan Croney Driscoll and Sarah Seymour the counters. Thanks to those who represented the club in the championships, out of 7 competitors we came away with 2 firsts 1 second and 2 third placings . We need to encourage more members to participate in these championships as there were medals to be won in the middle distance events. Anyone who is a regular at Sat morning training and is unable to make the session could they please notify myself Colin H. on 07861315748 or 0191-2372288. I would appreciate the consideration. TyneWear Sport are running first aid and safeguarding children courses over the next few months as follows. Other meets are 22 July (Monkton stadium) and 12 August (Gateshead Stadium). Race distances from 100m upwards. Field events as well. U13, U15, U17 and senior categories. Time to dust off your spikes and put your winter training to the test. All runners are encouraged to compete. This is what it's all about! With the lighter nights upon us Thursday night training will continue from Gosforth Park opp Border Minstrel Hotel for 6-45. Juniors and Seniors. both scored over 900 points through a combination of consistent participation (turning out for the club come rain or shine) and excellent performance. Rosettes for 2nd and 3rd places go to Susan Croney and Vicky McIntyre and Matt Gwilym and Kevin Thomas. Well done to all who took part. Fantastic day out in Liverpool for the Northern 12/6 stage road relays. Well done to all who ran- a full family affair for the Buswells. A particular shout out to those who ran through twinges and runny noses didn't let the side down and to Steve and James for heroics! Thanks also to HH for the coach share. Congratulations to all who took part in the Start fitness NE harrier league this season. In the overall team competition U13 girls came 9th, U13 boys 4th. U15 girls 4th. Patrick Donald was 6th U15 boy in the individual Grand Prix. Senior ladies came 11th in Division 2, and senior men came 3rd in Division 2. Notably we had a senior ladies team out at every race for the first time (ever! )- good work ladies. Helen Warburton and Richard McQuade get a tee shirt for competing in the Sherman Cup/Davidson Shield, Northern's, Northeastern's, and at least 4 of the six Harrier Leagues- well done both. Well done to all who raced through the mud at Parliament Hill Saturday. Special congratulations to Rachael Lundgren, 29th in the senior ladies race- go girl!! And thanks to those who stepped into the breach to ensure the senior men put out a team- you know who you are. These tops are available for members to buy at a reduced price of £10 for Junior and £12 for Senior. See kit man Kevin Thomas for details. Please sign up in the clubhouse or text Steve or Sasha if you want to race for the club. Made It! Congratulations to the coast to coast relay team who were successful in their challenge of running from Whitehaven to Tynemouth. A fantastic effort by everybody involved. Final total money raised was over £3,600. Many thanks to all who contributed. OAP / Unemployed / Student / Associate : £35 inc. Thanks to all those who supported the club races, and to the ones that stayed at home , you missed a good nights racing. In line with good practice and the requirements for accreditation under the Clubmark scheme, Gosforth Harriers has launched a new membership form. We require all current members to complete a new membership form and to sign to indicate that they have read and accept the relevant codes of conduct. Please click here to download a copy of the new membership form and here to view the code of conduct for seniors, juniors and parents/carers. Remember to check this website for information about club events. Members can join the Gosforth H & AC facebook group- just search for groups and send your request. Our Monday night venue (7-8pm) is Bohemians Sports Club, Benson Park, off South Ridge, NE3 2EJ.